The Smoking Gun: or, "Whither Gareth?" On a day of stunning drama at the High Court last week, we also had a series of startling admissions about bugs in the Post Office's Horizon IT system. Before the recusal hand-grenade was lobbed into proceedings, Torstein Godeseth, Horizon Chief Architect at Fujitsu, was being cross-examined by Patrick Green, QC for the claimants. Mr Green's cross-examination was the fruit of what looked like several months work by the claimants' legal team. They had painstakingly put together a series of conclusions based on evidence disclosed, which they then put to Mr Godeseth. It delivered, to my mind, the first concrete evidence of a smoking gun - an error generated outside a branch blamed on a Subpostmaster - and it raised the question as to how many more have slipped through unnoticed. The financial discrepancy was mistakenly generated in 2007 by a Fujitsu engineer who was trying to replace a missing line of code in a Subpostmaster's terminal without the Subpostmaster's knowledge or permission. During a bungled attempt to fix the glitch, the engineer put in an incorrect manual entry, causing a $1000 discrepancy in a forex transaction. It wasn't picked up by Fujitsu at the time, or rather the discrepancy was picked up, but the source of it wasn't, so it was blamed on the Subpostmaster. The incorrect manual entry was only spotted during this litigation whilst the claimants' legal team were preparing for the Horizon trial. That's the short version. The detail below exposes the range and depth of the Horizon errors the claimants' team were able to explore. Let's start with a reminder of the Post Office's general position on errors in Horizon. On the first day of this Horizon trial (11 March 2019), each QC gave their opening statement to the court. Mr de Garr Robinson, for the Post Office, made reference to a joint document prepared by the two independent IT experts contracted by the claimants (Jason Coyne) and the Post Office (Dr Robert Worden) to look at the Horizon system. It is called "Table of bugs/errors/defects with acknowledged or disagreed evidence of financial impact." There are 29 bugs listed of which 12 are agreed. As part of the table, Dr Worden estimates that the total financial impact of the agreed bugs was £165,000 and the possible financial impact of each bug on each affected Subpostmaster and would be no more than an average of £13,800. This was before any corrective action was taken to compensate the Subpostmaster and fix the bugs. "... that's not to say that a claimant could not have been hit by a bug. As I hope I have made clear to your Lordship, Horizon is not perfect. It remains a possibility, but the important point is how unlikely it is." So there you go. The claimants believe a total of £18.7m has gone missing from their branch accounts due to Horizon errors. The Post Office believes it could be nil. Also in his opening statement, Mr de Garr Robinson addressed remote access, vehemently denied to the BBC's Panorama programme in 2015, then admitted to the court by the Post Office in 2017. "In the real world this is... not going to have a bearing on the robustness of the system and on the reliability of any given branch accounts in any given month.... There's a sense of unreality.... even if the claimants' case succeeds at its highest, it's never actually going to have a material impact." Let's have a look at the evidence, shall we? Torstein Olav Godeseth certainly looks the part. Tall, pencil thin, with a slightly pinched expression, high cheekbones and thinning hair, he is an Oxbridge graduate who has worked on and off for both the Post Office and Fujitsu's IT departments since 1987. He was a technical advisor at the Post Office when they, together with the Benefits Agency, procured the Horizon system. Now, he is Fujitsu's Chief Architect on the Post Office Account. He spoke in court with a a broad West Country accent, which was a surprise. There can't be many Torstein Olavs who sound like they come from somewhere outside of Bristol. On the first day of Mr Godeseth's evidence, Patrick Green QC started the standard cross-examination practice of ripping a witness statement to shreds. In this instance Mr Godeseth had provided three witness statements, statements two and three correcting or clarifying elements of their predecessor(s). Mr Green was interested in how much of Mr Godeseth's evidence was actually his evidence. A lot of it appeared to come from a series of conversations Mr Godeseth had had with his colleagues at Fujitsu, particularly a certain Mr Gareth Jenkins. 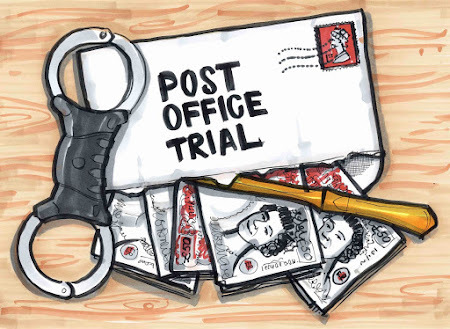 Gareth Jenkins was the Post Office's expert witness at the Seema Misra trial in late 2010. He was also present at a meeting between Post Office and Fujitsu (also in late 2010) where fixes to a long-standing Horizon bug (which had not been disclosed to the Misra trial or the Subpostmasters it was affecting) were being discussed. "it is fair to say that really the source of that information that you're giving is Mr Jenkins, isn't it, because you were working for Post Office at the time?" Mr Godeseth agreed, saying: "I feel I had a pretty good knowledge of how Riposte works, since I needed it when I was working on Impact, but it's absolutely the case that I would get more detailed information from Gareth." "I understand from Gareth that each message included three key pieces of information ..."
"I also understand from Gareth that messages also had an associated 'Expiry Date' ..."
"I understand from Gareth that due to the size of the Post Office network..."
"I understand from Gareth that the audit application..."
"I also understand from Gareth that once these files had been written ..."
Mr Green wondered if Mr Jenkins might be a better person to talk to about Riposte. Mr Godeseth agreed. Mr Green moved on from Riposte to the issue of remote access to branch terminals. He quoted from Mr Godeseth's first witness statement. "In Legacy Horizon, any transactions injected by SSC [Fujitu's Software Support Centre] would have used the computer server address as the counter position which would be a number greater than 32, so it would be clear that a transaction had been injected in this way." It transpired that although he didn't say so in this case, Mr Godeseth had got his information from Gareth Jenkins. "So" asked Mr Green, "we could write in there "I understand from Gareth"?" Sadly, it turns out Mr Jenkins had not given Mr Godeseth the correct information about counter position computer server addresses. It could be a number below 32, so that it wouldn't be clear it had been injected by someone from Fujitsu. Was Mr Godeseth shocked by this? No, he wasn't shocked, that would be too strong a way of putting it. Was Mr Godeseth aware it was a contentious point within the litigation? Yes, he was. And was he aware that he had stated the information as fact within his witness statement without any reference to the fact he had received the information from Mr Jenkins? Mr Godeseth accepted this. Mr Godeseth had managed to put the correct information in his second witness statement, after a discussion with a different Fujitsu colleague. Mr Green was interested in this. Had Mr Godeseth gone back to Mr Jenkins and discussed the incorrect information? No, said Mr Godeseth, he hadn't. Was he not interested in why he had been given duff information? Mr Godeseth repeated his previous answer. He had not spoken again about it to Mr Jenkins. "If you are looking to support a large system, then I think the logical conclusion is it's inevitable that you have to do this sort of thing on occasion." Mr Green asked why this statement seemed to directly contradict his witness statement. Mr Godeseth refused to accept that it did. The second phase of Mr Godeseth's cross-examination took place during the afternoon of Wednesday 20 March. Here, Mr Green and Mr Godeseth dwelt for some time on the migration from legacy Horizon (where transaction data was stored on Horizon terminals in branch and uploaded to the servers overnight) to Horizon Online (where branch transaction data was updated to the servers in real time). "On the 1st of March at the close of business we found that on node 5 [each Horizon terminal within a branch is known as a node] the cash was short of £1,000. All of the figures for that day match the figures presented at the time of each transactions. An instant saver withdrawal of £1,000 was transacted that day, but I was unable to find this transaction using the online report facility. I feel very anxious as I believe a system error has occurred at the time of this transaction." "On the 2nd of March a transaction for a cash withdrawal was completed where the system commanded a member of staff to issue the money to the customer on screen but the receipt printed for that transaction printed out a decline slip. The customer was honest enough to bring back the decline receipt a day later with the money." Mr Godeseth agreed the migration was traumatic for some, and that when he went over to Fujitsu during the rollout Fujistu was in a state of "red alert". Mr Green asked: "Can we infer from "red alert" that it is quite serious?" Mr Godeseth replied: "Oh, it was very serious." "And can you tell his Lordship why it was serious?" "There was an issue with Oracle which was the biggest problem, but clearly there were other problems going on at the same time because it was a brand new system, but the big one was an Oracle issue which I got involved in." Mr Godeseth couldn't remember any other specific problems with the Horizon Online rollout, but did volunteer: "there certainly were issues with the software in the early days." Mr Green wondered why there wasn't a single reference to any of these problems in any of Mr Godeseth's witness statements. Mr Godeseth replied he was "looking to give an overall explanation as to how Horizon works." As Mr Godeseth finished his first day of cross-examination, he was given some homework, or very possibly, hotelwork. He was handed a KEL and a PEAK to study. A KEL is a Known Error Log generated by Horizon support level two. A PEAK is developed by Horizon support level three or four to manage, investigate and hopefully fix the known error identified by the KEL. A PEAK can list notes left about the error by helpline support, plus the discussions between the engineers at Fujitsu who are looking at it. On his return to the witness box on the morning of Day 8 of the trial, Mr Godeseth was asked about the documents he had been asked to study. The error described in the documents (and referred to in précis in the introduction to this blog post) occurred in 2007 at a post office branch during a foreign exchange transaction for US dollars. This error has not been reported by the branch Subpostmaster, but has rather been picked up by the system. So far so good. For some reason, during the forex transaction, the computer chose not to write a line of code into the Horizon message store creating a surplus of $1000 (around £484 at the time). A fix was proposed - go into the Subpostmaster's computer and manually enter the line of code which was missing. This was done over a period of 10 minutes at 5pm on the 5 Dec 2007, and as Fujistu engineer Andy Keil adds to the PEAK: "Worth noting that the branch did not have any issues with the mismatched transactions because this was fixed before they did the roll. The branch is not aware of this and it's best that the branch is not advised." "you would fairly accept, wouldn't you, that although there are documents elsewhere that show that sometimes SPMs were advised, this shows an occasion when the SPM at this stage has not been advised, doesn't it?" Mr Godeseth was precise: "I don't know that it shows that, but it's a fair inference from it. I think I would say that Post Office were well aware of this and I would argue that it's a Post Office decision whether or not to tell a subpostmaster." "[Quantity]:-1, SaleValue:-484, PQty:-1,000 with, other attributes (including exchange rate) as before." ... Mr Kiel manages to update the POLFS feed for the branch with a sale value of 1,014.73 and PQty of 2,080. This has the effect of just over $2,000 being inserted in the Post Office system, generating a $1000 loss at the branch. "The counter problem which caused the first issue has been corrected by inserting a message into the messagestore, for equal but opposite values/quantities, as agreed with POL... Once the problem was corrected, there should have been no impact on the branch. However, it has been noted that the stock unit BDC had a loss of $1,000, which was generated after the correction was made." Don't worry, says Ms Chambers: "We have already notified Gary Blackburn at POL ... this appears to be a genuine loss at the branch, not a consequence of the problem or correction." Fujitsu failed to spot their own engineer's mistake. "Having read this PEAK in more detail overnight then yes, clearly that is what appears to have been the case." The smoking gun. It's one of those mysterious Horizon errors we kept being told about back when I was putting together my first report on this subject in 2011. The sort of thing the Post Office told us was nonsense and then sent us legal letters to make sure we knew how serious they were about it. This morsel was just a curtain-raiser (to mix metaphors) for the rest of the day's cross-examination. Using PEAK and KEL reports, Mr Green noted examples of lock/unlock problems reported by Subpostmasters in 2000, 2003, 2004 and finally at the Callendar Square branch in 2005. Mr Green read out a few of the PEAK reports from those periods and posited the suggestion that "we can see that although Callendar Square experienced this bug in 2005, the genesis of it appears to go back to February 2003 and similar lock agent problems back in November 2000, is that fair?" With regards to one of the branches affected in 2004, the KEL report read: "Transfer in accepted Twice, thus causing a Discrepancy." The discrepancy totalled £22,290. The "solution" was "currently with Escher for investigation." "This has resulted in a loss of 3,489.69.... Phoned the PM [Subpostmaster] to explain what the problem was. He is concerned about other transactions which he has input twice (3 Giro deposits and another cheque) because of the replication problem. Have advised him to contact the NBSC [National Business Support Centre - one of the Horizon helplines] as this is a business issue." "When clerk accepted transfer in it accepted it. After she had accepted it she went back into transfers and node 4 transaction for £608.13 appeared." "PM was trying to transfer £2,490 from node 7 onto node 2. She states that she has accepted the transfer on node 2 but the system is not showing this... On node 7 it is showing pending transfer but it is not showing on node 2... It appears on her transfer sheet as completed." "This office had severe problems balancing on week 25, resulting in a shortage of £6,414.46...."
These are not insignificant sums and not insignificant problems. "They told the SPMR that they would report to NBSC that they had identified and rectified the problem and that the amount could be held in the suspense account. However, as part of the shortage relates to transfers, and no error notice will be issued, then the Suspense Account Team are not prepared to authorise the entry." Mr Green suggested it wasn't easy for the Subpostmaster. "No, indeed," agreed Mr Godeseth, it was "a horrible position to be in." Mr Green continues reading from the document "No follow-up was received from [Post Office's] Service Support regarding this call." "Discussed ongoing issues of loss due to Horizon misbalance. SPMR concerned that he has now made a fraudulent entry in that he has rolled over to the next trading period and put the loss into suspense. He has then gone on to state that the cash has been made good, which it hasn't. This was done on the advice of the Helpdesk." 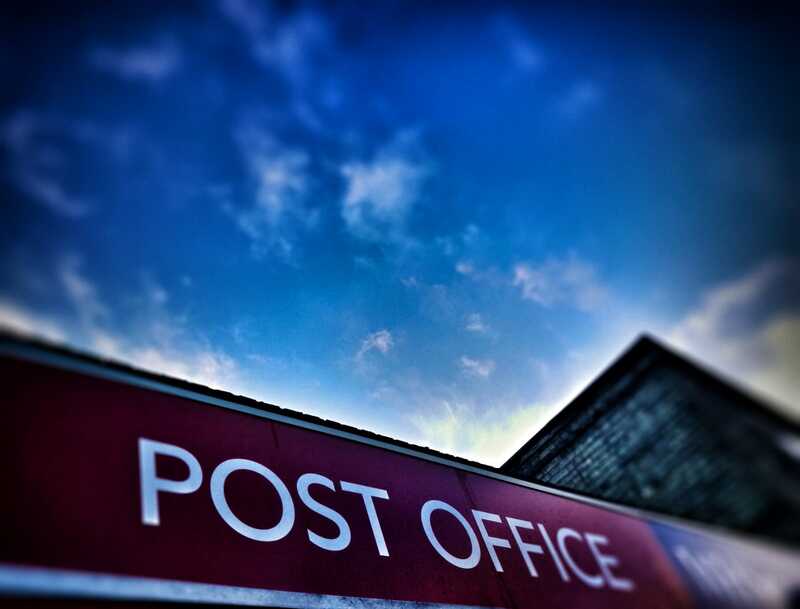 "[Subpostmaster] said that he was having problems again with transfers. He has contacted the Horizon helpdesk who have subsequently come back to him to say that there is no system problem and that he should contact NBSC." "Haven't looked at the recent evidence, but I know in the past this site had hit this Riposte lock problem 2 or 3 times within a few weeks. This problem has been around for years and affects a number of sites most weeks, and finally Escher say they have done something about it. I am interested in whether they really have fixed it which is why I left the call open - to remind me to check over the whole estate once S90 [the fix] is live - call me cynical but I do not just accept a 3rd party's word that they have fixed something!" So a serious bug affecting multiple branches for years. Mr Green takes Mr Godeseth to a letter from Post Office's solicitors to the claimants' solicitors dated 28 July 2016. The letter asserts the Callendar Square bug "was discovered in 2005 and fixed in March 2006". He then shows Mr Godeseth another Post Office solicitors letter which says: ""The Falkirk/Callendar Square issue was only known to have affected that one branch." Mr Green invites Mr Godeseth to agree that these assertions are both wrong. "On the face of it." replies Mr Godeseth. This was a Horizon Online bug, which Mr Godeseth says in his witness statement started in September 2010. "So your evidence is that it arose in September 2010, yes?" "And Fujitsu identified it in September 2010?" "I have not checked the detail, but I'm comfortable with that, yes." That was unwise. Even I know about this bug's history and I'm not even Horizon's Chief Architect (though I was paying attention during the first trial). Mr Godeseth is taken to an internal Post Office document about the receipts and payments mismatch bug which was written between 29 September and 4 October 2010: "Discrepancies showing at the Horizon counter disappear when the branch follows certain... steps but will still show within the back end branch account ... impacting circa 40 branches since migration [from legacy Horizon to Horizon online] ... with an overall cash value of... £20K loss." Furthermore: "At this time we have not communicated with branches affected and we do not believe they are exploiting this bug intentionally." And: "We have asked Fujitsu why it has taken so long to react to and escalate an issue which began in May. They will provide feedback in due course." Although he had been given a chance to challenge the information in his own witness statement a minute or two earlier, Mr Godeseth had chosen to say he was comfortable with it. He was asked about it again. He agreed that his witness statement suggesting the receipts and payments bug started in September 2010 was materially wrong. Mr Godeseth's witness statement also suggested that 60 (later 62) branches had been affected by this bug. He wasn't very clear on how he had arrived at this figure, but it appeared to come about during discussions with Gareth Jenkins. "If we look please at the "Affected Branches" spreadsheet for a moment please and if you look at line 7, do you see there minus 777 in July 2010?" "As a result of some changes that were made on 3 July 2011 to the Horizon archiving strategy relating to Stock Units that had been deleted in a branch, any branch that deleted a Stock Unit at the end of 2010 which had a local suspense transaction in that Stock Unit before it was deleted were left in the table used for constructing the branch trading statement." "The bug was discovered in January 2013 when two Subpostmasters, who experienced the largest discrepancies, raised the issue with Post Office. I understand from Gareth Jenkins that Post Office could see the impact of the problem in their back end system and wrote off the discrepancies." "The point there is that although it had persisted for years not months, it was SPMs who drew it to Post Office's attention and when they did, then Fujitsu saw it and was able to try and correct it?" "We became aware of it in 2013, from my understanding." "Yes, because it was raised by SPMs?" "And Post Office had known about it since 2012?" "This was also known as the Branch Outreach issue and again here you are heavily reliant on Mr Jenkins who you refer to at paragraphs 55, 57, 58 and 61 of your witness statement, is that fair?" Having got that out of the way, we found out more about the Dalmellington bug from an internal Fujitsu document. It affected 65 branches and had two fixes, one issued in 2010 and another issued in 2011. Neither did the job. The same internal document listed several reports of the bug resurfacing in several branches between 2011 and 2016. The document notes a 2016 fix to be released with Post Office's approval. The document also notes that between 2012 and 2014 the Post Office didn't raise the issue with Fujitsu. "So the point that someone was making at Fujitsu" said Mr Green, "was that Post Office had not raised the matter with Fujitsu so that it could be corrected earlier.... isn't it?" Mr Godeseth refused to comment. "What do you think it looks like?" ventured Mr Green. "It looks like that." conceded Mr Godeseth. Mr Green went on to suggest that because the Post Office hadn't told Fujitsu about the reoccurrence of this bug, no root cause analysis was being done on it. Mr Godeseth replied: "I think these incidents came from us going through the audit trail to identify where there had been duplicate pouches." "So SPMs were suffering duplicate pouches over a number of years due to a known problem with the system and Fujitsu was not informed over that period of years until 2015?" "It does not show that any supposed countermeasures to ensure the robustness of Horizon as a system were working, does it?" "Unfortunately this particular error is not subject to receipts and payments problems because it could be... it could be user doing something twice, it's the bug had the effect of making it look as though a user was simply doing something multiple times." Before Mr Godeseth left the witness box he was asked if he thought Horizon as a system had improved over time. Mr Godeseth asserted he believed all systems improved over time. He was asked if he thought that specifically about Horizon. "Yes." said Mr Godeseth. Mr Green took him to a recent issue which arose when a requirement to remove mobile phone 'Top Up' options associated with Orange and T-mobile, now they had been bought by EE. "there was a human mistake made when undertaking the change to the reference data for these products. The 'front-end' reference was correctly removed. The 'back-end' reference was incorrectly removed at the same time... This would have shown as a mismatch that the branch had to accept." This was not just an example of a discrepancy caused outside of a branch directly affecting a branch's accounts, but, according to Mr Green it was a recent one which shows us how "how branch data is incorporated into transaction data and accounts for which a mismatch for which an SPM may be held liable can arise." Mr Godeseth pointed out it would be picked up by Horizon's own monitoring systems. Mr Green moved on to another problem caused by the introduction of Smart ID (known internally as EUM) across the branch network, designed to "allow a given EUM user to lock a counter and then log on to another counter." The internal report about this change noted EUM "has caused incidents to occur in the live estate ... if the active user session rolls over the current stock unit, and a locked session on another counter attached to the same stock unit is then resumed." Mr Green noted that as of 22 January 2019, the bug had "impacted 19 branches to date over a 6-month period." "When a branch was processing a claim for Official Postage this was increasing the cash on hand figure rather than decreasing which could potentially result in the branch having a discrepancy if not identified. NBSC received further calls and it became apparent that the accounting sense being applied at the counter was positive value not negative value. We spoke to a couple of contacts at Fujitsu but they couldn't explain why this was so"
Oh dear. Impact? "As of [2 February 2019] 720 branches are impacted including the live kit in NBSC ..."
Mr Godeseth didn't know about that one. The brutal dissection of Mr Godeseth's knowledge and witness statement(s) was a bleak reminder of Richard Roll's trammelling at the hands of Mr de Garr Robinson. Cross-examination of knowledgeable people at the hands of a skilled QC is a vital part of the justice system and can have a dramatic effect on the understanding of a situation. You just wouldn't want to be on the end of it. Nonetheless, over four days of questioning by Patrick Green for the claimants, we discovered there was a possibility the Post Office may have used incomplete evidence to prosecute people for theft and false accounting, a litany of Horizon errors revealed during Angela van den Bogerd's cross-examination, the bizarre approach the Post Office's debt collection department takes when it comes to branch discrepancies and the previous week, during the cross-examination of claimant witnesses, we found out about the sheer scale of the tinkering in branch accounts by Fujitsu engineers revealed by Richard Roll. But Mr Godeseth's cross-examination was something else altogether. It contained an admission of a smoking gun - a branch discrepancy which the evidence suggests was more than likely caused by a Fujitsu engineer, being pinned by the Post Office on a hapless Subpostmaster. There are two more Post Office witnesses to be cross-examined, but as things stand we are in limbo, waiting for the hearing of the Post Office's recusal application. Stay tuned for more developments. Or come along to the recusal hearing on Wed 3 April at the High Court's Rolls Building. All welcome.